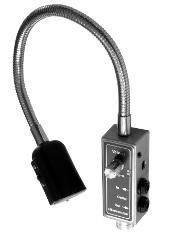 A gooseneck mounted on a microphone stand? 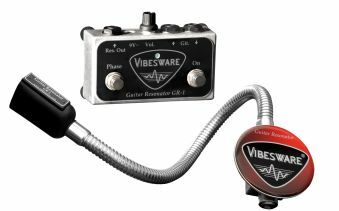 Guitar Resonators are magnetic string drivers that sustain the tone and generate feedback harmonics whenever you want them. Up to three strings simultanously! 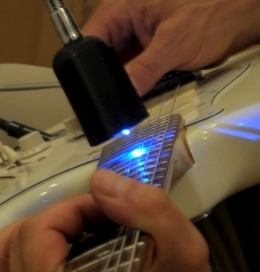 This new playing technique provides total feedback control: start, end, volume AND harmonics! 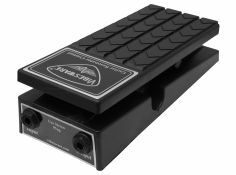 Simply by changing the position of the string driver along the guitar neck ... or by foot switching from basic tone to harmonics. No limitations, both hands free for normal playing! But this is just the beginning of your GR journey. Exploring further, you will find new ways of playing guitar. Total Control of Feedback Harmonics. At any sound volume. With any Guitar.